Phil Roberts and I went to Sabkhat Al Fasl and as always arrived just before first light. Also as normal the first bird we saw was a 2nd calendar year Greater Spotted Eagle. During the day we saw a further five Greater Spotted Eagles all being 2nd CY birds with the exception of one adult. Phil also saw a 2nd CY Eastern Imperial Eagle but I unfortunately failed to see the bird. The water levels were very high at the site making it very good for waders but a cold day (10 degrees Celsius) and a biting cold northerly wind made it feel extremely cold. This cold weather made birding difficult and significantly reduced the number of birds visible. 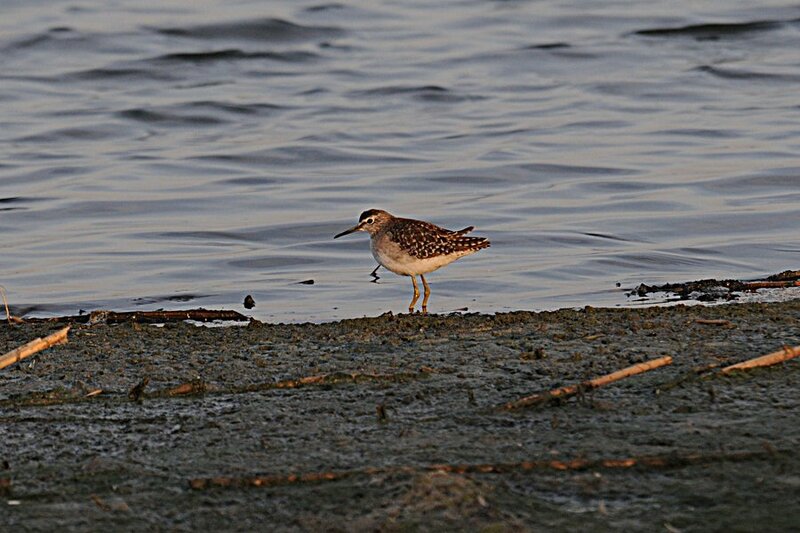 The first wader we saw was a Green Sandpiper and a further four birds were seen during our stay. Passerines were few and far between with only one European Stonechat, two Chiffchaff, up to thirty Water Pipits and more than fifty White Wagtails, numbers of which have significantly increased in recent weeks. Large groups of Great Cormorant were seen flying over with a number resting on the water with at least 300 birds seen. 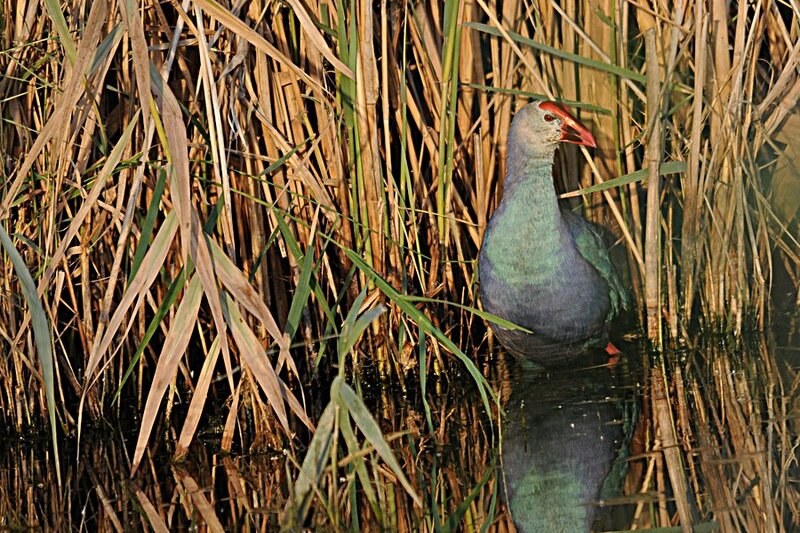 Purple Swamphens were much reduced in numbers compared to most visits with only eight birds seen during our time at the site. The best area of the site for viewing birds also held few species with only 18 Black-winged Stilts, five Common Redshanks and a Common Ringed Plover present. Three further Green Sandpipers were also seen here and a group of ten Barn Swallow, which are probably early returning migrants heading north. 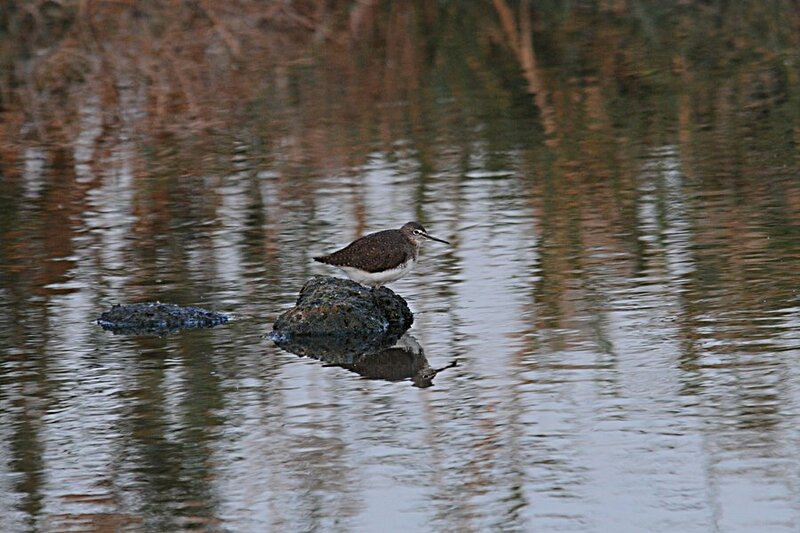 The best birds seen here were two Wood Sandpipers seen feeding around the muddy edge of the shallow water area. Further around we saw a few more Common Redshank, ten Black-winged Stilt and a Pied Avocet that appeared to have a damaged leg. 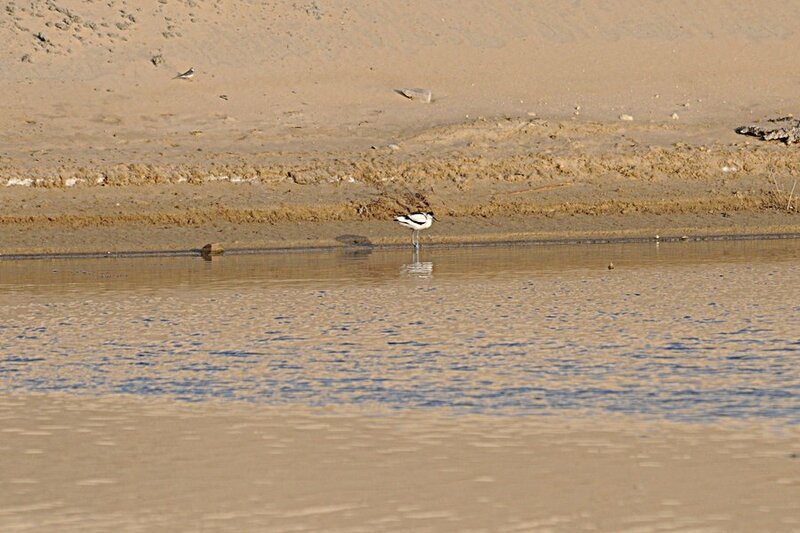 Sabkaht Al Fasl is the best location in the Eastern Province for seeing Pied Avocet with large numbers seen in the winter and we later saw a tight flock of more than three hundred birds, trying to keep warm from the cold wind. This was also the best area for Water Pipit and Pied Wagtail where thirty of each where present. There were also three Little Grebes and one Caspian Tern already in full summer plumage and a number of Western Great Egret flying over in small groups or in the water feeding. The total count for Western Great Egret was 26 at the end of the day. 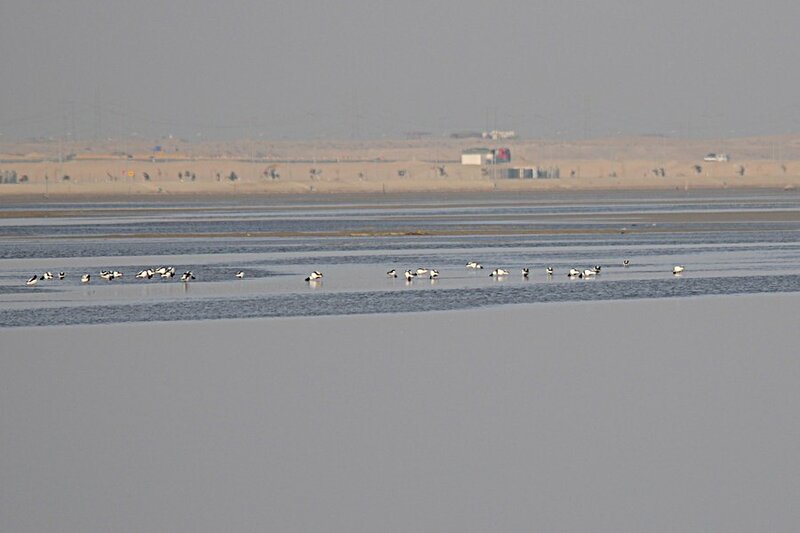 The main flooded Sabkhat area held large numbers of waders and a huge flock of 357 Common Shelduck. This is the largest flock of Common Shelduck seen in the Eastern Province as far as I am aware, with Bundy et al Birds of the Eastern Province of Saudi Arabia (1989) saying ''Common Shelduck is usually the scarcest of ducks in coastal localities only in small flocks occurring from November through to March'. The largest documented count I can find is 193 at the same location on 23rd November 1991 during ICBP/NCWCD Waterbird Survey of the Gulf Coast of Saudi Arabia during November and December 1991 (C. Harbard & J. Wolstencroft). These birds were not present the weekend before as Phil visited the site but he did see the Pied Kingfisher again this time by the water treatment plant, back where Sander Willems had orginally seen it and at the oposite end from my sighting of a few weeks ago. 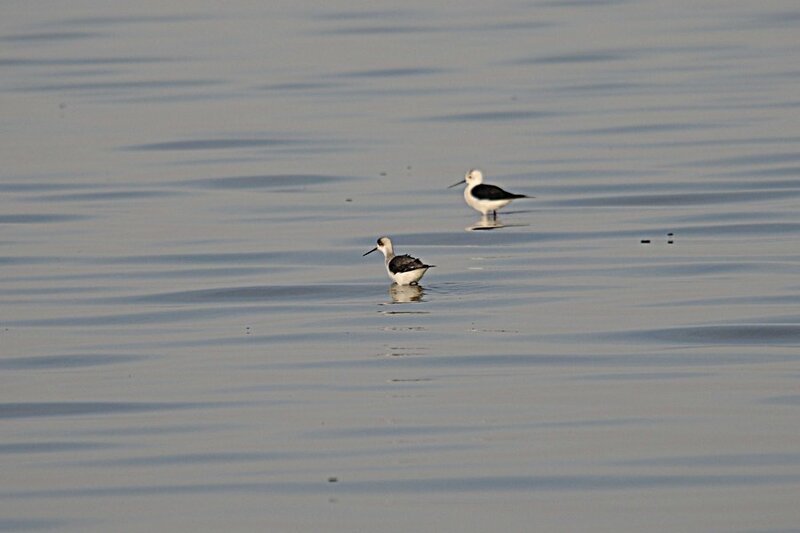 The flooded Sabkaht also held 2000+ Greater Flamingos and large numbers of waders including one Ruff, 11 Common Greenshanks, 200+ Common Redshanks, 21 Marsh Sandpipers, six Common Ringed Plovers, 100+ Black-winged Stilt, two Caspian Terns and at least 15 Western Marsh Harriers.